A colourful chronicle capturing Dhanu Yatra, world’s biggest open air theatre, would be released shortly. The picturesque publication titled ‘Kansa Maharaja: The Hero of Bargarh Dhanu Yatra’ frames the journey of this cultural legacy spanning Seven decades right from 1947 as this iconic event started with the onset of Indian independence. This coffee table book has been conceived, contextualised and created by noted journalist, Founder and Chief Editor of Odisha Live Media Shri Nilambar Rath. The book carries the imprint of impeccable feature writing style pioneered by Shri Rath during the early eighties in Odisha. The 11 days long festival transcends barriers to be reckoned as world’s largest open air theatre. Bargarh gets renamed as Mathura Nagari, Ambapalli becomes Gopapur. The river “ Jeera flowing between the two localities becomes Yamuna. Although in the mythology, Kansa has been portrayed with the image of a violent Maharaja, for this festival, the villain of those days gets to be identified as an able administrator among general mass.Many actors have portrayed the role of Kansa and dwindled in to oblivion with passage of time. Persons who have made a difference include Yudhisthir Meher, Gopal Sahu and Hrushikesh Bhoi etc. The present Kansa Bhubaneswar Pradhan has assumed the crown since 2017. Hon’ble Chief Minister Shri Naveen Patnaik has complimented Odisha Live team on this accomplishment. The Minister, Language, Culture and Tourism, Shri Ashok Panda has lauded the efforts of Odisha Live for documenting such a unique legacy of our cultural tradition. The CMD of Nalco Dr Tapan Kumar Chand has opined “Bargarh Dhanu Jatra is a people fest, is one of the world’s largest open theatre presentations. The Jatra rejuvenates and resurrects the rich folk tradition of Odisha. 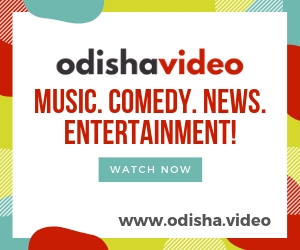 This media initiative of Odisha Live will connect well with the art and culture lovers of Indian dance fora.” The Chief Editor, Odisha Live Shri Nilambar Rath has expressed deep gratitude for the valuable support rendered by well wishers from all walks of life. The Chief Editor, Odisha Live Shri Nilambar Rath has expressed deep gratitude for the valuable support rendered by well wishers from all walks of life.